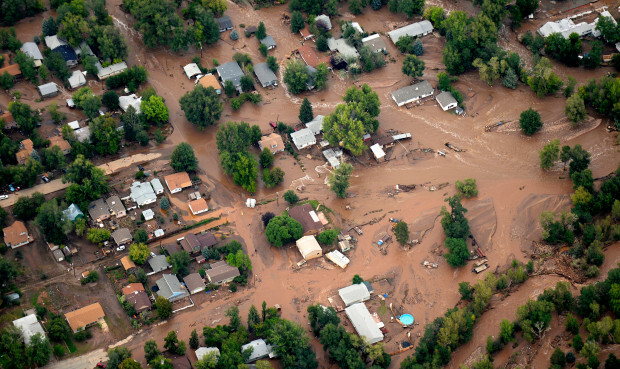 The Colorado Department of Local Affairs (DOLA) Community Development Block Grant – Disaster Recovery (CDBG-DR) Resilience Planning Program is a federally-funded program designed to help communities recover from damage sustained in the federally-declared flood and fire events of 2012 and 2013. The goal of the Resiliency Program is to align watershed restoration and risk mitigation with community and economic development goals using a collaborative, multi-jurisdictional coalition-of-partners and consultants. CDBG-DR funds support planning efforts, detailed studies, and designs to restore or enhance stream, wetland, riparian and adjacent upland habitat that were damaged or completely destroyed by the flood event; and to implement high level strategies to make river corridors, floodplains, and flood-prone communities more resilient to future flood events. provide planting layout and construction oversight. People love living next to water. During normal years this is blessing. During major floods this is a curse. The St. Vrain Creek in the Town of Lyons, Colorado is no different. Many of the homes built on top of the banks and in the floodplain (as shown in these before and after photos) have constricted the channel and filled the floodplain so that when floods occur the water has nowhere to go. In order to help alleviate the pressure, to the extent possible, geomorphic modifications were made to provide overflow routes and greater flood capacity along the St. Vrain corridor to make the community more resilient during future floods. In order to restore the numerous river-based, recreational uses and the natural aesthetics of the creek that the Town relys on for revenue (kayaking, tubing, fishing, camping, and festivals), Ecosystem Services, LLC designed, laid out, and helped to implement the installation of thousands of riparian and wetland plants. These plants create habitat for numerous wildlife, support the fishery, and enhance public enjoyment of the creek. Ecosystem Services, LLC © 2011-2019. All rights reserved. Website crafted by Clay Pot Creative.